“TranSil” is a quick-setting, two-part, transparent silicone (vinylpolysiloxane with high final hardness) material designed to be automatically mixed and expressed from a dispensing instrument normally used for impression materials. Its unique clear character offers opportunities to simplify many clinical and laboratory procedures. For example, think of the benefits of “TranSil’s” translucency in fabricating perfect temporaries directly, or on a model with the elimination of several steps that are now required. 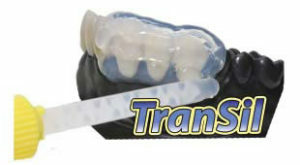 Quickly and efficiently fabricate a temporary (any composite can be easily cured directly through “TranSil”). “TranSil’s” clear character can ensure that any acrylic is ‘packed thoroughly’ and is completely filling the mold prior to curing. Note: Curing composites in an anaerobic atmosphere eliminates the dispersion layer and results in a denser, smoother surface that is easier to polish. Simplify your staff’s daily challenges. We offer some of the following snapshots and minimal instructions as a stimulus to build a springboard of ideas as to how “TranSil” can serve to simplify your day. 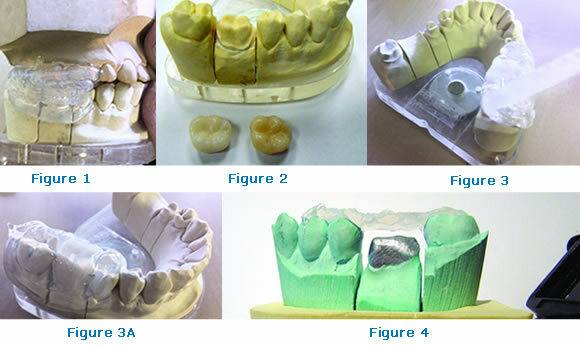 FABRICATION OF TEMPORARY RESTORATIONS – The utilization of TranSil greatly simplifies the fabrication of Bite Registrations as well as Temporary Restorations.